Inspired by a rally cry of “No Peanut Butter and Jelly for Christmas Dinner,” the Supply Chain team for Kimberly-Clark’s Professional business made time during the typical year-end rush of activity to coordinate employees on the company’s Roswell, Georgia campus in support another successful food drive for the Children’s Restoration Network, CRN, in Atlanta. This is the third year that the Supply Chain team has helped make this effort a reality, and this year, they reached an impressive donation total of 480 items and gift cards. The contributions from Kimberly-Clark employees helped make this the largest collection event in CRN’s history, collecting over 63,000 pounds of canned and boxed food items, along with 40,000 pounds of chicken and turkey, to feed more than 3,000 homeless children and women in 130 shelters across the area. 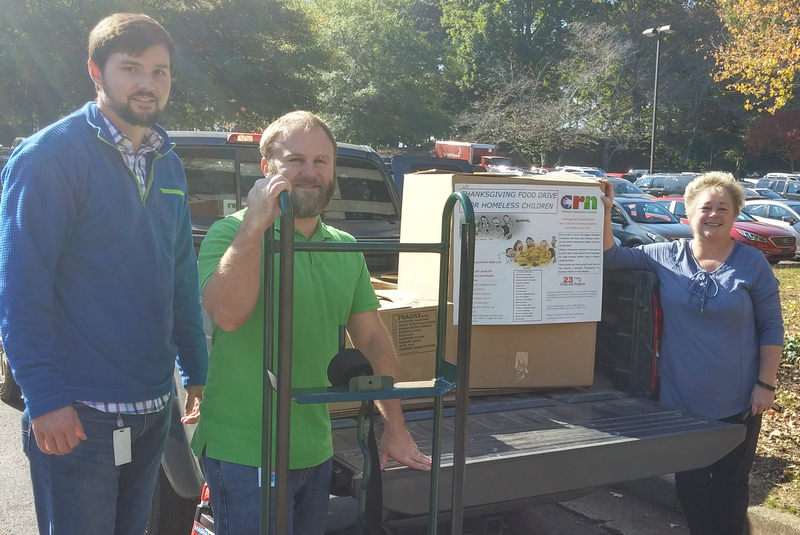 The help with the food drive is just one small way that Kimberly-Clark employees have supported this important non-profit agency serving homeless children and mothers in Atlanta. Over the years, volunteers from the company have given their time in support of numerous CRN events including Back to School, Career Workshops, and Christmas Gift Wrap. Through these programs, CRN helps children receive basic necessities from food and school supplies to adult guidance and scholarships. More information on the Children’s Restoration Network and its 23-year mission can be found on their website at www.childrn.org.